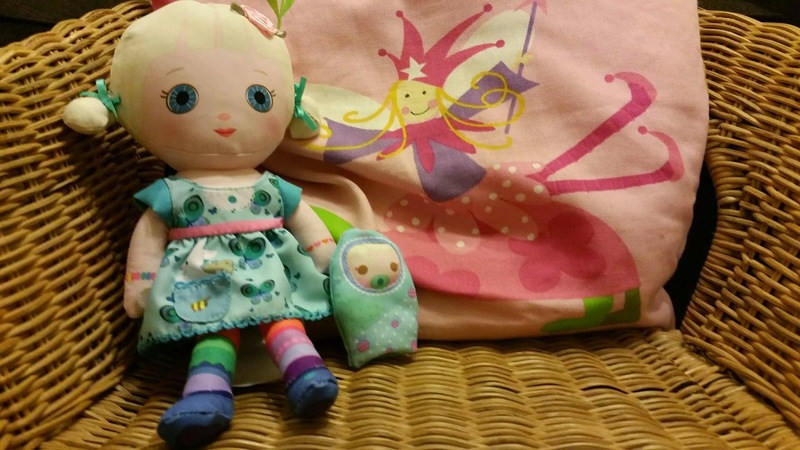 You may have seen my review of the 'Sing Around The Rosie' Mooshka doll last week. I also received a Mooshka Tot doll. The Mooshka Tots are the little sisters of the Mooshka dolls. The dolls are smaller than the originals at just 24cm. Mooshka dolls are cute and colourfull dolls and the story behind them is that they were once individual paper dolls that through the power of friendship sprung to life and became little girls. They aim to teach children aboout the importance of friendship. We received Misha. Her birthday is June 1st. Misha loves baby animals, especially feeding and petting them. She is the younger sister of Ina. Misha has beautifully blonde hair and blue eyes. Misha comes with a finger puppet doll, paper doll chain and a giftable box. As Gracie has the Sing Around The Rosie doll she decided that the baby sister doll just had to belong to Elsie. Although that hasn't stopped Gracie playing with her. She loves to pretend that the two dolls are her and Elsie. I love this doll it is a lovely size, not too big, not too small. She is perfect for taking out and about as she packs away nicely in the change bag. The finger puppet doll is a lovely added extra and can be great fun for them to play with. 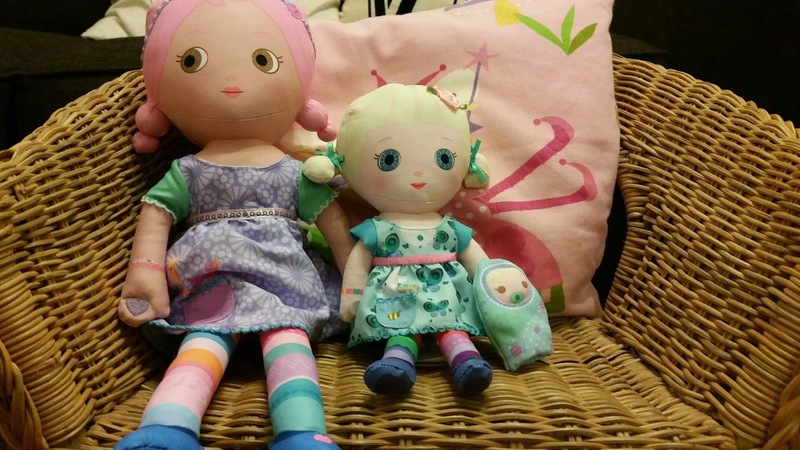 What I love most about the Mooshka Tots doll is that as well as teaching children about the importance of friendship but they can also teach children about the bond between siblings (well definitely when you have one of the larger dolls too). Gracie has said the dolls are best friends just like her and Elsie which I think is adorable! Mooshka dolls would make the perfect Christmas gift for any little girl. The dolls retail at around £15 which is very reasonable for a doll like this. They are currently available on Amazon. You can find out more about Mooshka dolls and keep up to date on the latest news on their social media channels.